Dates cannot be held without a £50 deposit being paid. 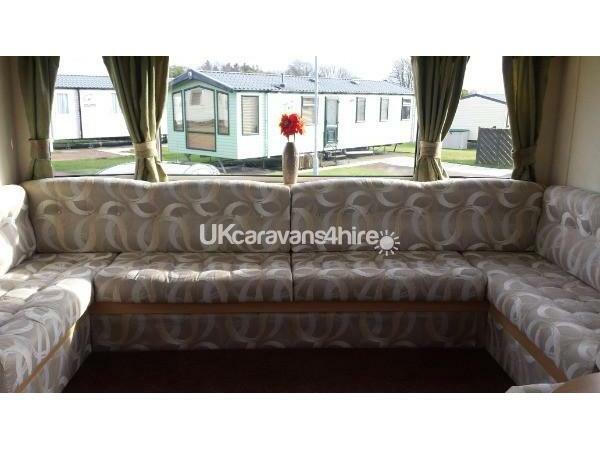 £50 breakages deposit is required in addition to the price quoted for number of nights. 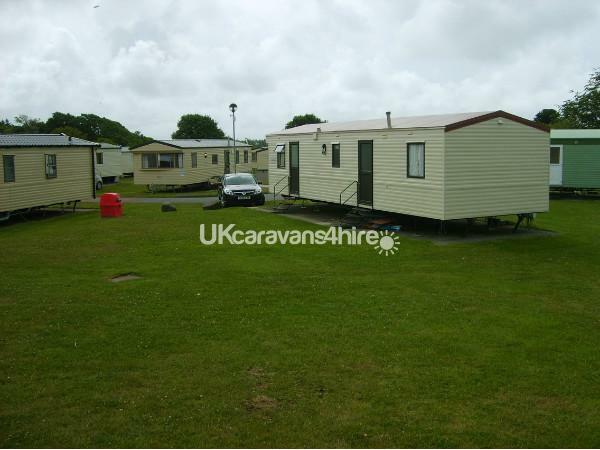 Breakages deposit refundable after departure following satisfactory checks on caravan are completed. 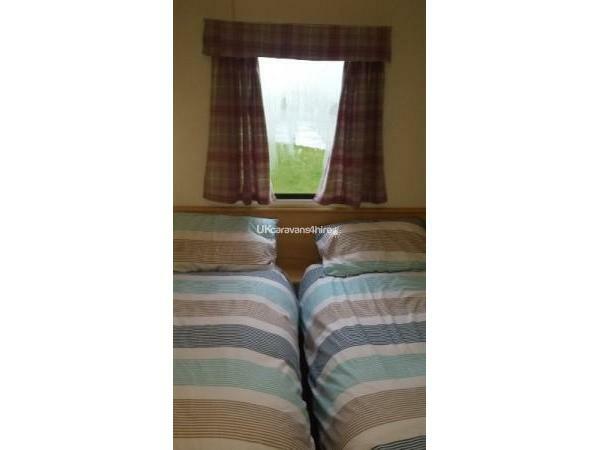 Spacious and clean, 3 bedroom caravan on a large plot, on the popular Snowdonia View area of Hafan y mor Haven, a short walk to the pool and entertainment complex. 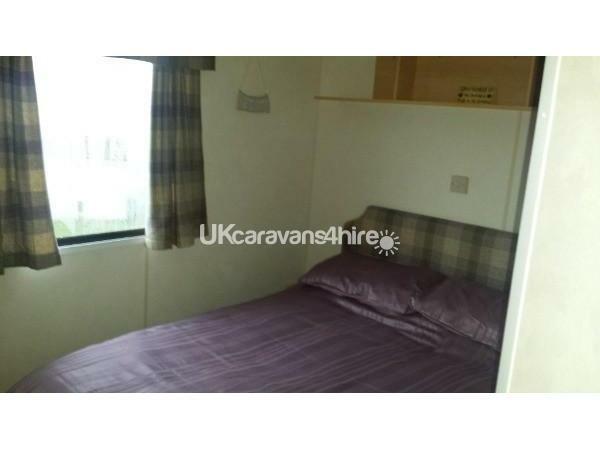 Enjoy yourself in comfort and style in this smart, clean and cosy caravan. 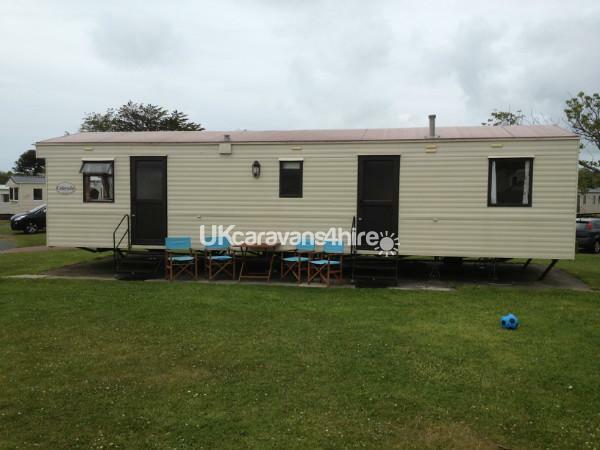 Graded a Deluxe caravan it can accommodate up to 8 people comfortably. A large and spacious lounge incorporating a dining area for you to enjoy delicious meals and a picnic bench on a patio area outside for you to enjoy eating or barbecuing during the summer months . In the lounge area you will find a flat screen TV with DVD player and Nintendo Wii as well as board games and DVDs provided for your rainy day entertainment. Highchair, travel cot and bed guard are also provided for those of you with little children. 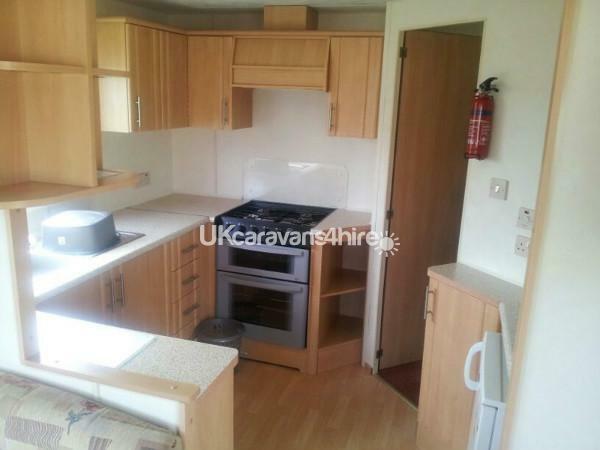 The kitchen is well equipped with pots and pans and comes with a gas cooker hob and grill. 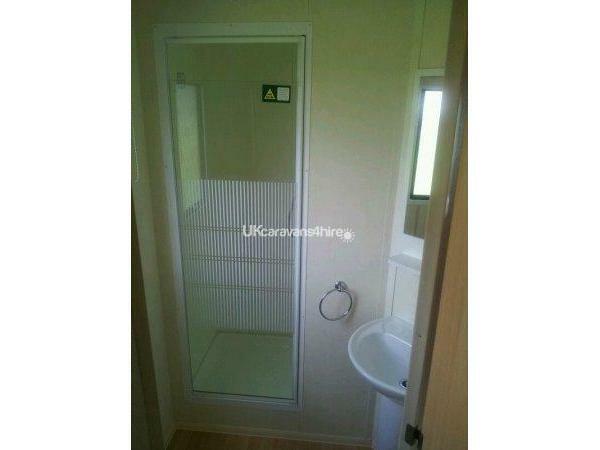 There are 3 bedrooms which all have plenty of storage. 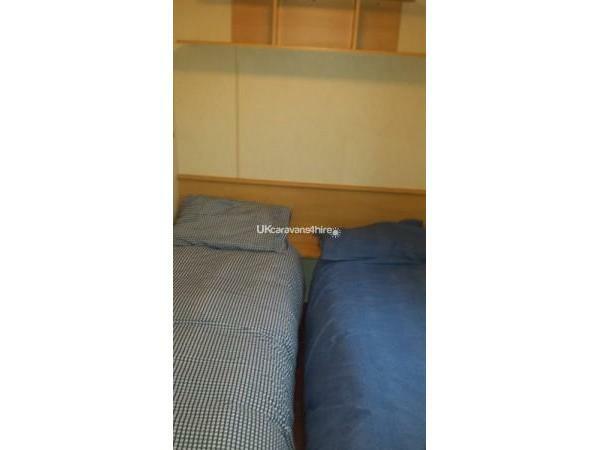 2 twin bedrooms and a double. 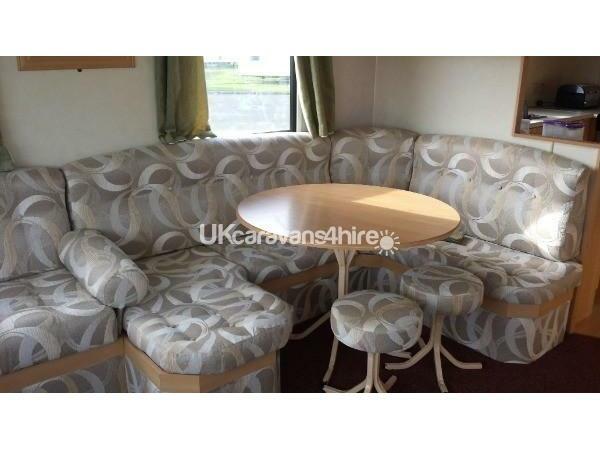 A double pull out bed is kept in the lounge under the seats. Well behaved pets are welcome at small charge of £20. £50 non refundable deposit is due upon booking. A £50 breakage deposit will be added to the price of your holiday. 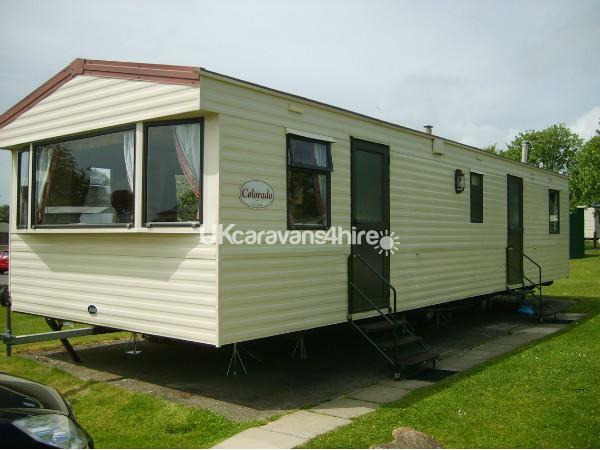 This will be refunded within 2 weeks of the end of your stay provided the caravan is left in a good condition. Full payment 6 weeks before your holiday. if your arrival date is less than 6 weeks away at the time of booking then full payment will be required. Keys will be available at reception on your arrival and must be returned to reception on departure after ensuring all lights are turned off and windows and external doors are locked and secured.